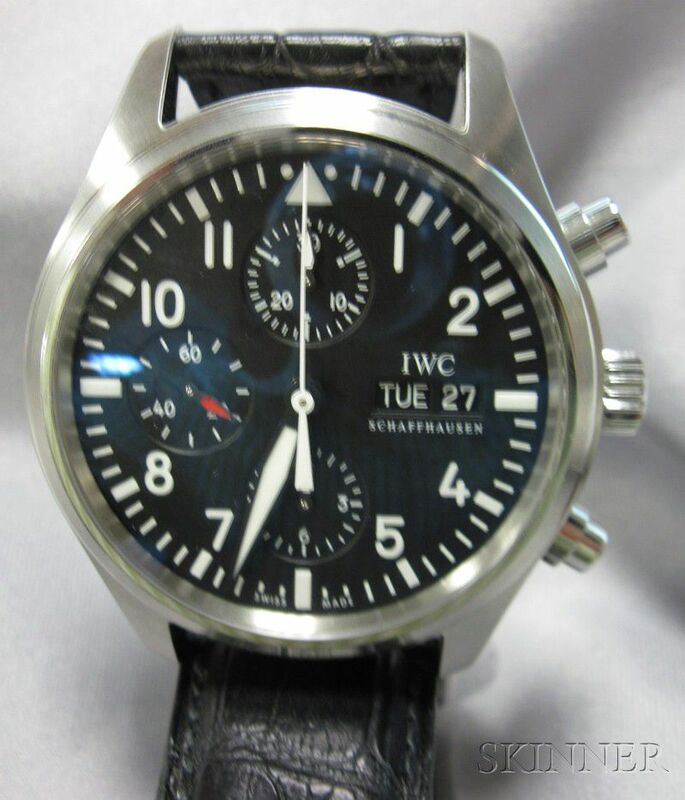 Stainless Steel Chronograph "Pilot" Wristwatch, IWC Schaffhausen, "Fliegeruhr," the black dial with day/date apertures, automatic chronograph movement, 42 mm, case no. 3412480, completed by a black leather strap with deployant buckle. 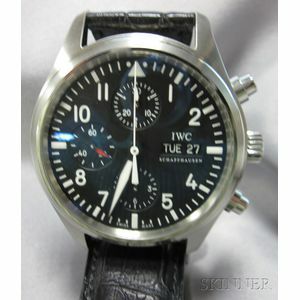 Watch is setting and running, very gently used condition, Strap and buckle appear original, very minor surface scratches to case.